The Consulate-General of Japan in Vancouver would like to invite you and your class to participate in our 'Touch of Japan' educational program for both elementary and secondary school students in Metro Vancouver. The Touch of Japan Program is funded by the Ministry of Foreign Affairs in Japan. This program offers opportunities for students in Canada to learn more about Japan and develop a better understanding and interest in the country. Students participating in the program will learn about Japanese arts and culture through lively presentations, interactive workshops and engaging video clips. For your convenience, this program will be conducted in your classroom and is free of charge. For scheduling reasons, the program is currently available on Tuesdays only, from 10:00am to 11:00am or 2:00pm to 3:00pm, and runs from late-January to late-May 2019. For booking, please kindly fill out and return the attached booking form via email or fax. We apologize that we cannot take reservations by phone. Reservation is made on a first-come, first-served basis. Early reservation is advised as the program fills up quickly. 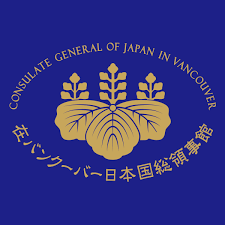 Next year, in 2019, the Consulate General of Japan in Vancouver will be celebrating the 130th anniversary of its establishment in Vancouver in 1889, and will be marking this special occasion by creating a commemorative logo. Design submissions are currently being accepted from classes of elementary and high school students in BC and Yukon who wish to send in any of their creative ideas. The tentative deadline for submission is January 31st, 2019. Admission is free and everyone is welcome to attend the event. Application for entry is accepted until 5 pm, Monday, February 4, 2019. ​To register online, click here. We’re pleased to announce an upcoming exhibition from the Japan Foundation. 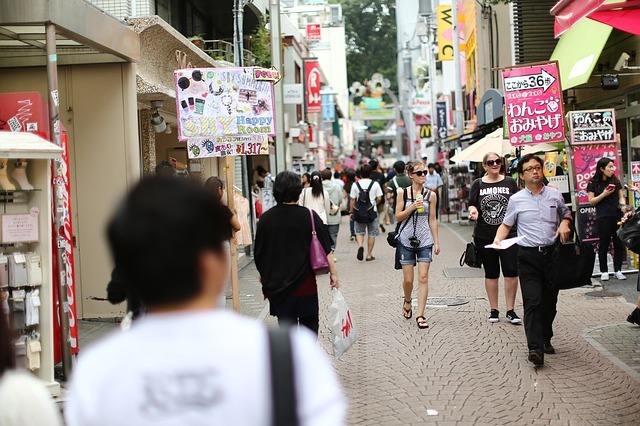 The Ministry of Education, Culture, Sports, Science and Technology (MEXT) of the Government of Japan is currently accepting applications for its 2019 Undergraduate Scholarship for Canadian students who wish to study at a Japanese university. The scholarship covers full tuition, a monthly allowance and a round-trip flight between Canada and Japan. The Undergraduate Scholarship is aimed at high school graduates, born between April 2, 1994 and April 1, 2002 (for the 2019 scholarship year). 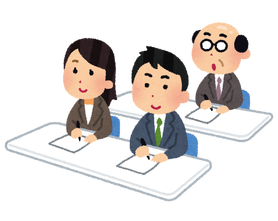 The term of the scholarship is 5 years, beginning in April 2019 (including one year of Japanese language training). Application guides and forms are available on the Embassy of Japan's website: http://www.ca.emb-japan.go.jp/itpr_en/education.html. Deadline for the 2019 scholarship year: June 8, 2018. Applicants who successfully pass the written application screening are required to undertake an interview and examinations (as outlined in the application guidelines). Candidate interviews and examinations will be held in July on a date determined by the Consulate General of Japan. Interviews and examinations must be conducted in-person at the Consulate General of Japan's offices. If you have any questions or concerns, contact us at 604.684.5868 or by Email at education@vc.mofa.go.jp. 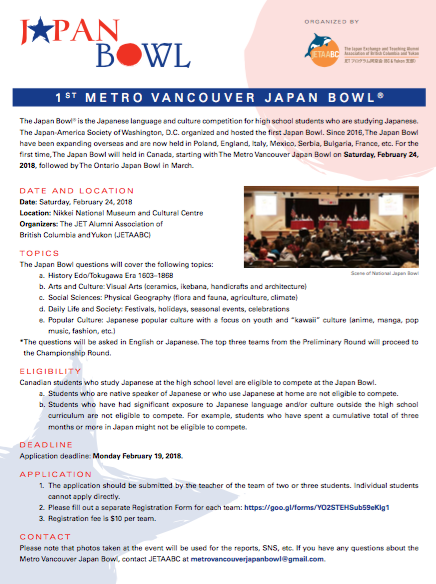 JETAABC is excited to invite high school students learning Japanese to participate in the inaugural Metro Vancouver Japan Bowl on Saturday February 24, 2018. The Japan Bowl® is the Japanese language and culture competition for high school students who are studying Japanese. The Japan-America Society of Washington DC organized and hosted the first Japan Bowl in 1992. The competition has been expanding overseas and is now held in Poland, England, Italy, Mexico, Serbia, Bulgaria, France, etc. This Metro Vancouver Japan Bowl will be the first time the competition is held in Canada. Teams comprise of 2 to 3 members. Registration is $10 per team. For highschool students, applications are submitted by the teacher: https://goo.gl/forms/YO2STEHSub59eKIg1. ​Please see the poster, click on the link below, or open the attached file below for further information. 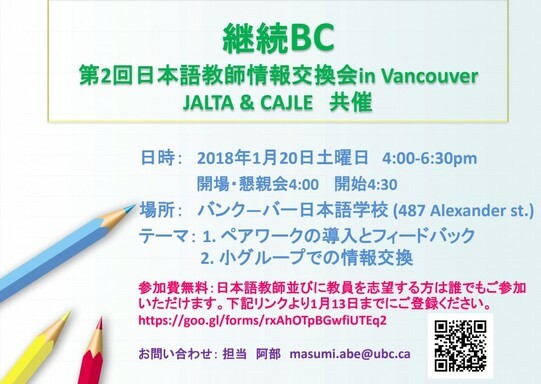 The BC Japanese Speech Contest Organizing Committee is pleased to inform you that the '30th Annual British Columbia Japanese Speech Contest' will be held on Saturday, March 3rd, 2018 at the Halpern Centre, Simon Fraser University. This event is a wonderful opportunity for students learning Japanese as a foreign or second language to showcase their language skills in a challenging and rewarding context. The application deadline is 5PM, Monday, February 5th, 2018. A list of the applicants selected for the final contest will be posted on the above mentioned website on or after February 19th, 2018. The Japan Foundation, Toronto, is please to inform you that Hakuho Scheme for a Global Children’s Japanese Language Network is now accepting applications from overseas schools for participation in the 10th Japan Experience Program for Overseas Children. * Applications for the Japan Experience Program for Overseas Children are open to schools with Japanese language programs for students aged 12-16 years old. Students 17 years old and older are ineligible to participate. Please note that applications from schools in Canada are being accepted by the Japan Foundation, Toronto. Check out the many free resources from the Japan Foundation for teaching Japanese on their Marugoto website. The Japan Forum- A great Resource! Have you registered yet? A new scholarship program ($5,000 - $10,000) is being offered to send school groups to Japan or China that has a deadline fast approaching - Feb. 12 for this school year. CAJLE 2015 Conference a success! 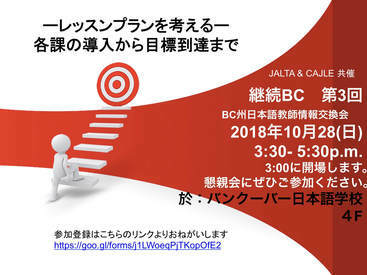 This workshop will focus on curation for teachers and students, as well as, useful websites and Web 2.0 tools for Japanese classes. The following questions will be answered in this workshop: What is curation? Why it is essential to all teachers and students in the 21st century? What are the most popular curation sites? What are some useful sites and Web 2.0 tools for Japanese culture and language learning? Stacia Johnson has been a high school languages teacher in urban and rural settings for the past twenty years. She has taught high school French, Japanese, and English. 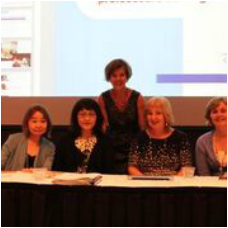 She has presented workshops at the BCATML conference and at the CCERBAL bilingual conference at the University of Ottawa. She recently completed her Master of Education in Curriculum and Instruction, with a focus on digital literacies and connected language classrooms at the University of Victoria. The evening was also marked by the traditional new year's breaking of the sake barrel and two musical performances on koto instruments. The evening was an opportunity to recognize the efforts of educators in BC who have made strides promoting Japanese language and culture, including the Kakehashi exchanges of 2013-2014.